Armed Forces Day is celebrated each year on the third Saturday in May (May 20, 2017). 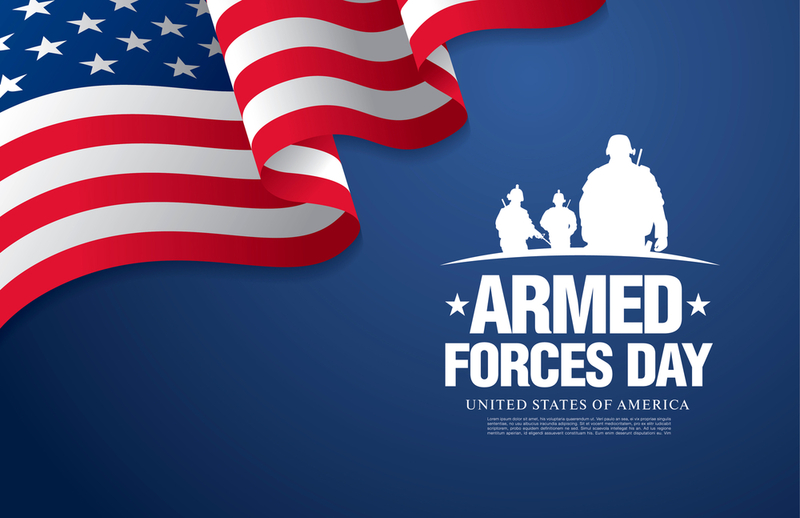 On August 31, 1949, Secretary of Defense Louis Johnson announced the creation of Armed Forces Day. Prior to the creation of that day, the Army, Navy and Air Force each held their own celebration. The single-day celebration stemmed from the unification of the Armed Forces under one department, the Department of Defense. Each of the military leagues and orders was asked to drop sponsorship of its specific service day in order to celebrate the newly announced Armed Forces Day. How can you celebrate this special day? Although there aren't parades and air shows to enjoy in every part of the nation, every American can celebrate the holiday with the patriotism and respect it deserves. Above all else, reflect on our military and how they have fought for our freedom and continue to do so.